British Columbia Spawn on Kelp is a unique seafood delicacy that has been harvested by BC First Nations for food and trading for centuries and it is one of the most unique and traditional seafoods that Canada has to offer. It is composed of broad leaf sea kelp with a covering of naturally spawned herring eggs. 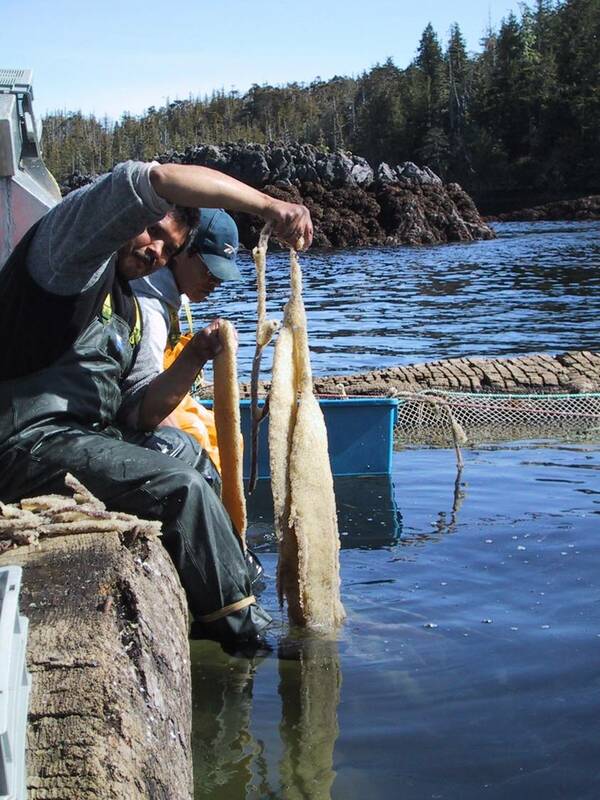 The sustainable, responsible fishing practices have earned the fishery the reputation as the most “just and ethical fishery” in Canada. The majority of the harvest is exported to Japan where it is considered a very high end speciality gift and sushi product. First Nations make up the majority of the harvesters and it continues to be an important food staple with cultural significance to First Nations.